WhizzAuthor offers a new approach to the creation of online training courses. In addition to fast and straightforward online authoring, it is also the only person-to-person author on the market. Motivational interaction between trainer and trainee allows for deeper learning on the part of the trainee, and the opportunity for the trainer to gather feedback and make improvements. 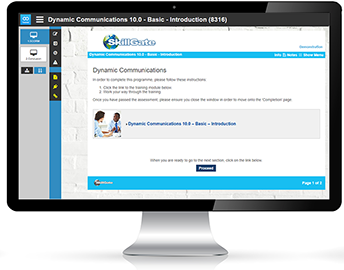 SkillGate's Cross Site Trainer (XST) allows any training course to be delivered via any SCORM compliant LMS. It ensures that the trainer can keep control of the content and can manage delegate activity on a real time or asynchronous basis. This tool is an excellent way of following up on completed training and ensuring skills are embedded. 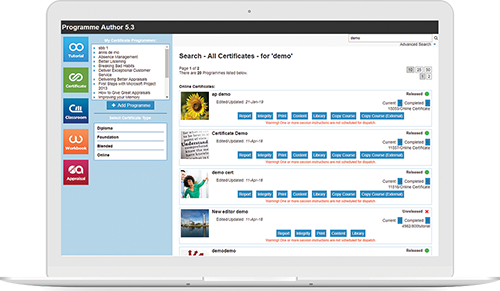 It allows trainers and training managers to create themed (or course specific) refreshers, updates and further course suggestions and automatically dispatch them to relevant individuals who will receive into their email inbox.